Safe Passage Project began around 2006 with a series of trainings and clinics aimed at aiding immigrant youth in immigration matters. The original conception was to screen and place children’s cases with pro bono attorneys. The federal government does not fund legal representation in immigration proceedings and children were facing deportation proceedings alone. Professor Lenni Benson and Adjunct Professor Lindsay Curcio soon had a project with over 50 new cases each year. By 2011, Gui Stampur became a legal fellow at New York Law School and brought with him a significant number of children’s cases. Soon thereafter, Professor Benson learned that one of the regular juvenile dockets at the New York Immigration Court needed a legal services organization to cover the docket and to screen the children for eligibility for immigration status. New York Law School created a new course to allow students to help screen children at the immigration court and Professor Benson recruited several new adjunct professors to assist in the supervision and placement of the cases after screening. Key participants in this early expansion were Adjunct Professors and volunteers Bethany Ow, Susan Henner, and Martin Rothstein. By 2012, Safe Passage Project was regularly covering juvenile dockets at the immigration court and placing cases with pro bono attorneys. As the work grew, the Project transformed from a pro bono law school project to a formal nonprofit corporation. 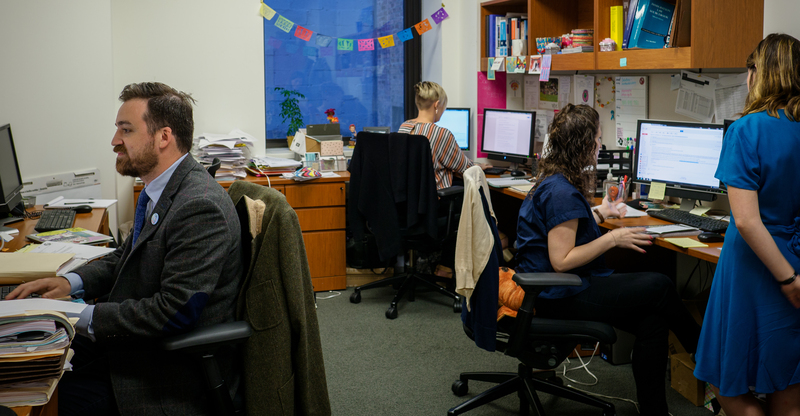 The nonprofit was formed and supported by pro bono legal work provided by Sam Coppersmith, Gui Stampur, and Megan Eiss-Proctor. Lenni Benson served as the unpaid Executive Director and Chair of the Board for several years. Gui Stampur became first the Director of Legal Services and then a Deputy Executive Director. Megan Eiss-Proctor briefly served on the Board and then as an unpaid member of the staff, ultimately becoming a Deputy Executive Director. The first officers of the nonprofit included: Lenni Benson, Sam Coppersmith, Susan Henner, and Ruth Uselton. By 2014, Adjunct Professor Claire R. Thomas replaced Bethany Ow in managing the law school course and Desireé Hernández joined the staff, ultimately becoming the Deputy Executive Director for Legal Services. We have provided close mentorship to an army of more than 400 pro bono attorneys. Without a doubt, Safe Passage Project was born out of the willingness of many people to volunteer time and energy to try to find legal representation for children in immigration cases – we came together to support pro bono attorneys providing high quality representation to immigrant youth. In 2016, Pam Foster became chair of an expanded board of directors and the board named Rich Leimsider as the first paid Executive Director. A full list of board members and current staff can be found on the website. Lenni Benson is the founder and visionary whose tireless efforts and unwavering commitment created the foundation for Safe Passage Project as it exists today. There were many other individuals who contributed their time and energy to the founding of Safe Passage Project Corporation, but in addition to Lenni Benson we especially recognize the contributions of Lindsay Curcio, Megan Eiss-Proctor, Susan Henner and Gui Stampur, all of whom can be proud of their role as co-founders of the organization. 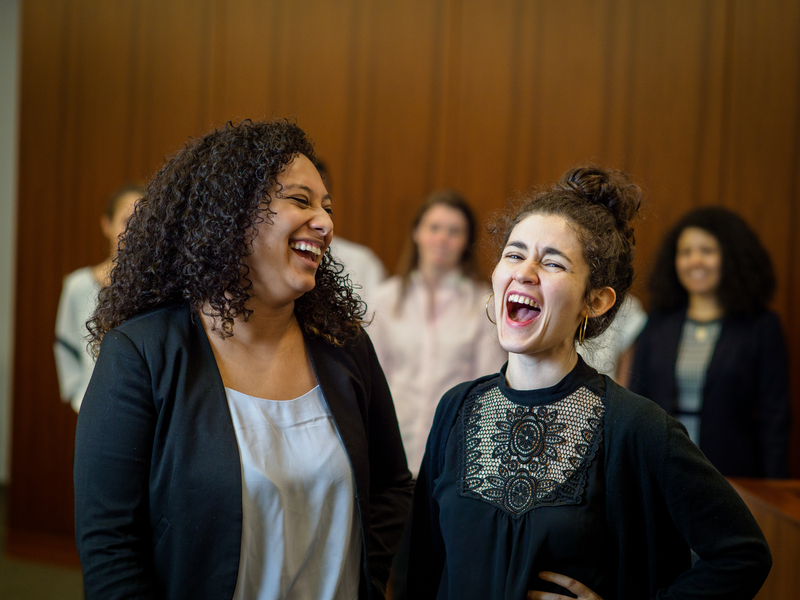 As of the spring of 2018, Safe Passage Project is aiding over 700 youth and is housed within New York Law School. For Andrés García, designing Safe Passage Project’s logo was personal. Having migrated to the U.S. from Mexico with his mother at 12 years old, Andrés’ own perspective and experiences enabled him to see the narratives of Safe Passage Project's young clients in a personal light, and to translate those narratives into our logo design. According to Andrés, the story of the logo is “just two kids trying to find a better life and move forward”. Taking inspiration from the previous Safe Passage Project logo, he salvaged the concept of the two helping hands, but wanted to bring more humanity and meaning into the image. Portraying children in the design made the logo's message even more powerful and true to Safe Passage Project’s work. “It felt great to do what I do for an organization I believe in, especially as I read all of the client stories. It’s living, breathing proof that I can help kids and make a difference,” says Andrés of his work for Safe Passage Project. Andrés has been designing professionally ever since graduating from University of Houston in 2015 with a B.F.A in Graphic Communications. To see more of his work, visit andrgar.design. Learn more about the determined staff of 20 tackling over 800 cases.